iPhone 5 pre-orders just went live so if you want to avoid the crazy lines at the Apple Store next Friday, head over to Apple.com to pre-order your iPhone 5. AT&T, Verizon and Sprint are also taking pre-orders so whip out your credit card to lock yourself in for the next iPhone. Like every other iPhone pre-order launch, the websites are getting hammered and stalling out. It's like they never learn! Get ready for a long night of F5 refreshing. 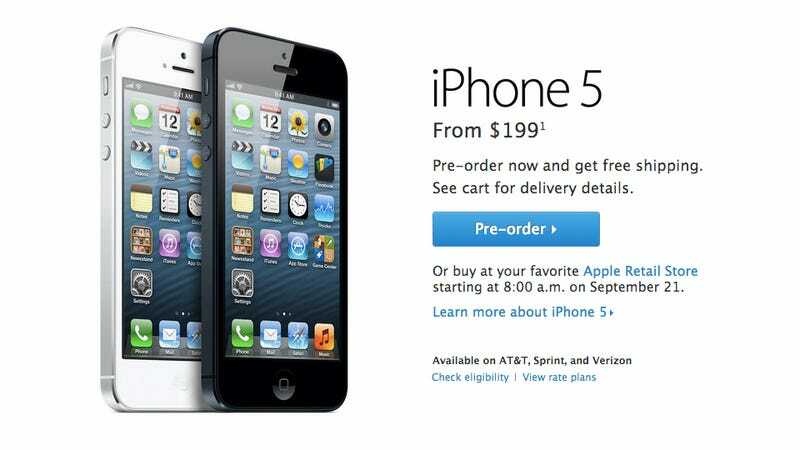 For those who won't be pre-ordering, you can buy the iPhone 5 in stores on September 21st.